We have no partition except a path between ours and the neighbour's garden, so seeing that she'd been able to get outside and tidy her garden on a sunny day earlier this week whilst I was at work, made me pretty eager to get out and do the same. After last Sunday where I talked about my plans for my strawberry plants, I thought that this week I'd share another part of my '2018 Garden Plan' with you. 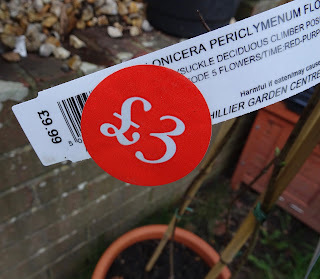 This scented honeysuckle 'Periclymenum Florida' was reduced from £9.99 to £3 in the local garden centre back in October. I absolutely love the scent that's produced by honeysuckle, but I'd been putting off buying one at full-price, because I've already got an unruly Montana Ruben Clematis, and we are in a rental property after all. Those of you who have read my previous blog post about my Mini Poundland Haul will recognise this trellis that I picked up for (can you guess it?) £1! 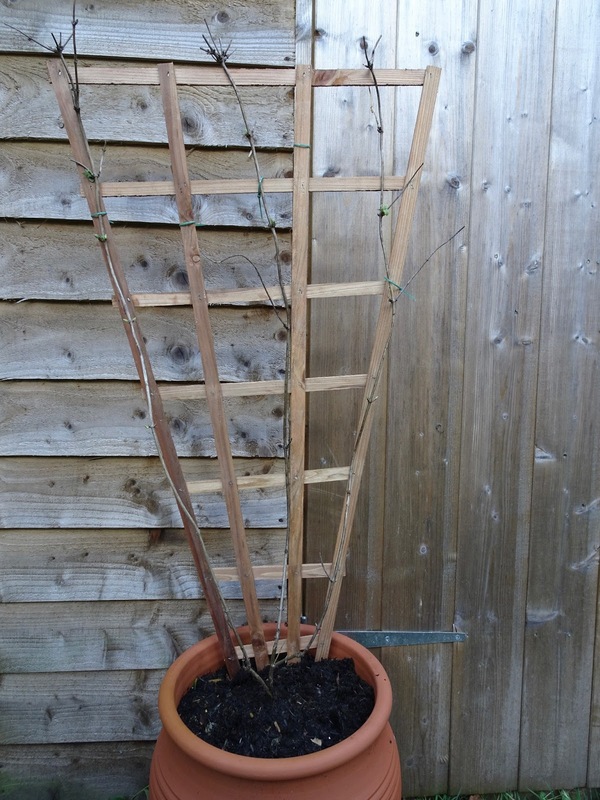 For the price, it's not the best quality trellis in the world, but for a short-term support it's perfect. Obviously, if you were looking to create a more permanent project, then perhaps you'd be better off purchasing trellis from a local hardware store, or making your own. However, because this honeysuckle came with some bamboo canes, and I'm trying to be careful with money now I'm working part-time and supplementing my income with freelance work, I decided to be resourceful. 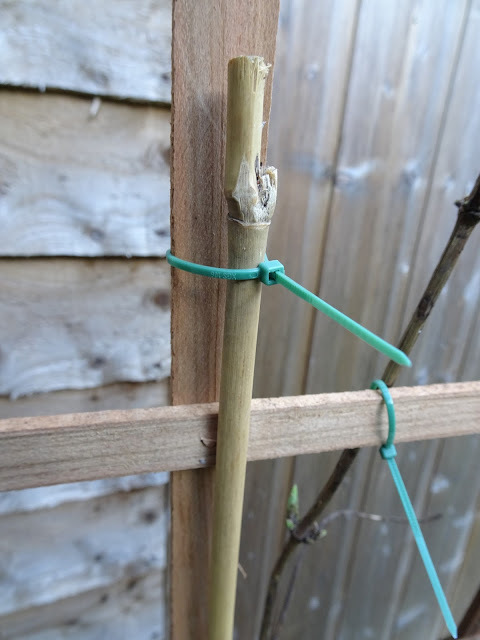 Firstly, I removed the original bamboo canes that were supporting the three stems, and made sure that the trellis was pushed securely into the compost that I'd planted the honeysuckle in back in October. With the trellis from Poundland, I'd recommend making sure that you hold it near the bottom whilst you're pushing it in, otherwise it can become quite unstable. Secondly, I secured the honeysuckle to the trellis with small cable ties. I picked 100 of these up for £1 again, during my Mini Poundland Haul. 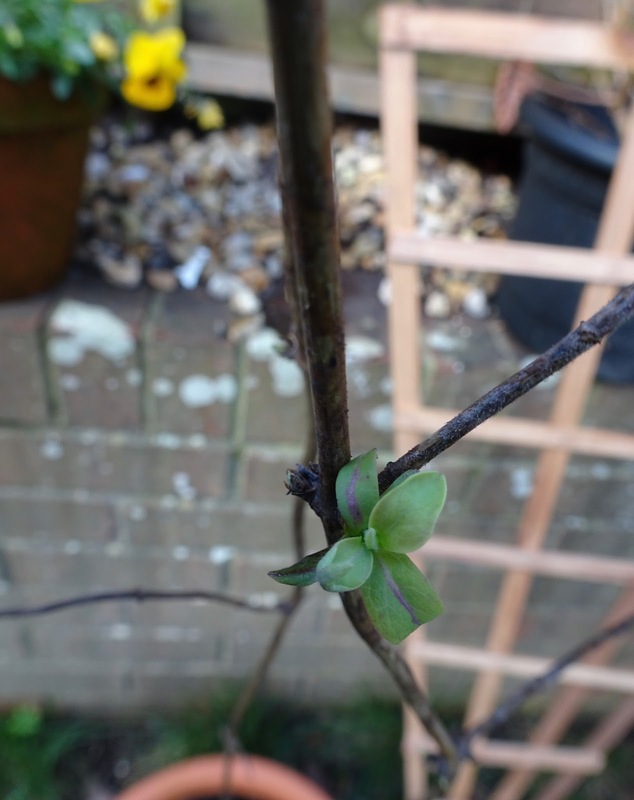 Because they're quite thin, I don't think they stand out too much or damage the stems of the plant, but honeysuckle is fairly woody so I would be careful if you were thinking about using them on softer plants. 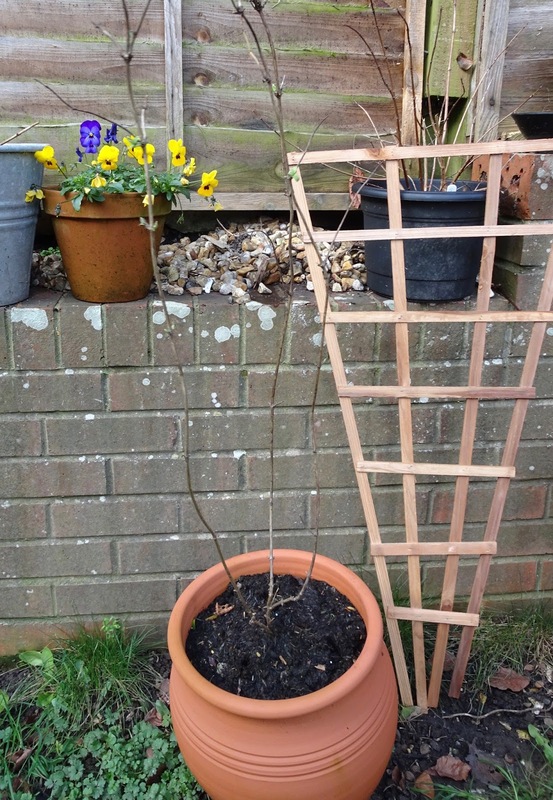 Once I'd attached the honeysuckle, I used the bamboo canes that I'd removed earlier, and placed them back into the pot, but this time I placed them behind the trellis, in line with the middle two vertical strips. I then secured these, again with cable ties, just to give the trellis a little bit of added support. Once the trellis and honeysuckle has settled into its new position, I'll remove the long ends of the cable ties and tighten them if need be. 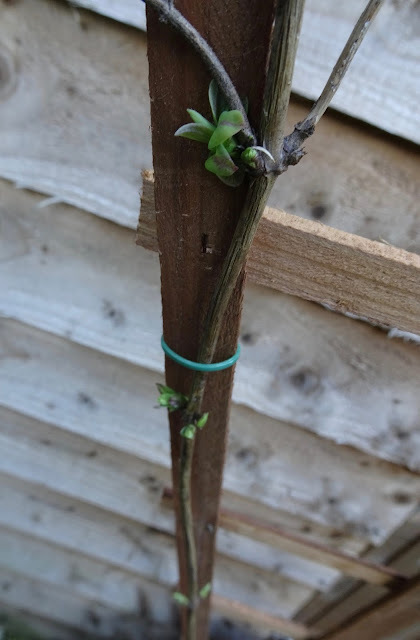 As the honeysuckle starts to grow, I'm hoping that it'll cover the trellis, so the structure will be concealed and the cable ties hidden. 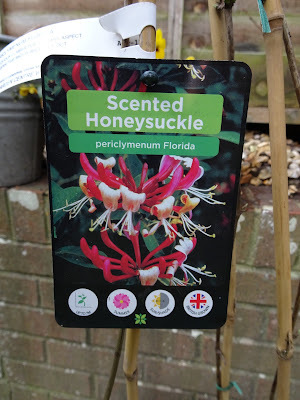 I'm really looking forward to having the smell of honeysuckle from the garden, and not just the fabric softener I use on the bed sheets! What's your favourite scent to have in your garden? I'm always looking for new plants to try. Drop me a comment below.